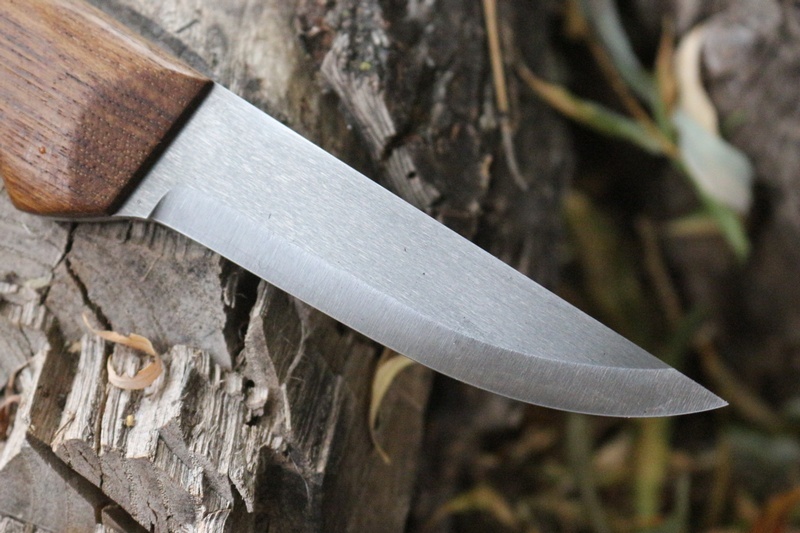 Very interesting an unique knife this!, made by well known knife maker and UHC steel creator Heimo Roselli in Finland, this is his first Full broad tang knife made for his company's 40th anniversary. It uses the Ultra High Carbon Wootz Steel that Heimo created, giving an extremely tough and fine grained edge, accompanied by incredible hardness of 66-68HRC!. The hardest knife steel we sell, its a very unique steel and complex manufacturing process. 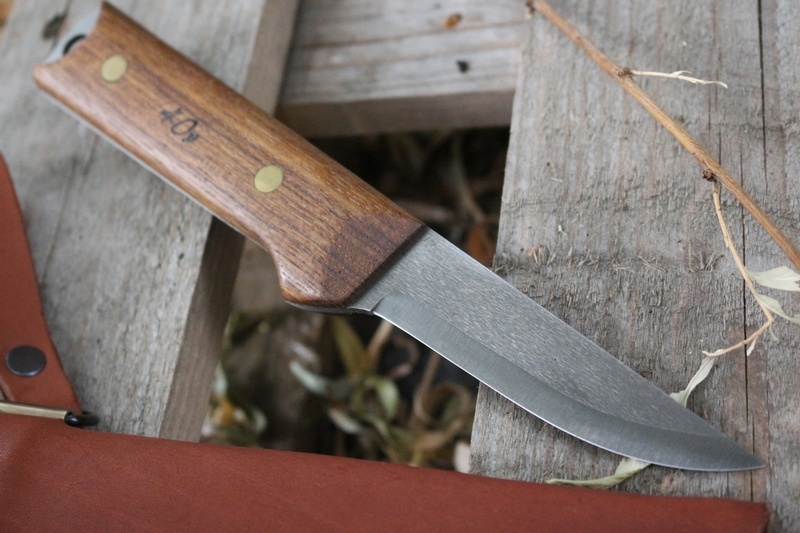 Teak slabs, brass pins, full broad tang with lanyard hole, scandi grind. OAL 9inches, blade is 4in. Steel is UHC (1.8% carbon) Wootz Steel to 66-68HRC. Comes with nice dangler syle sheath with pivoting strap. 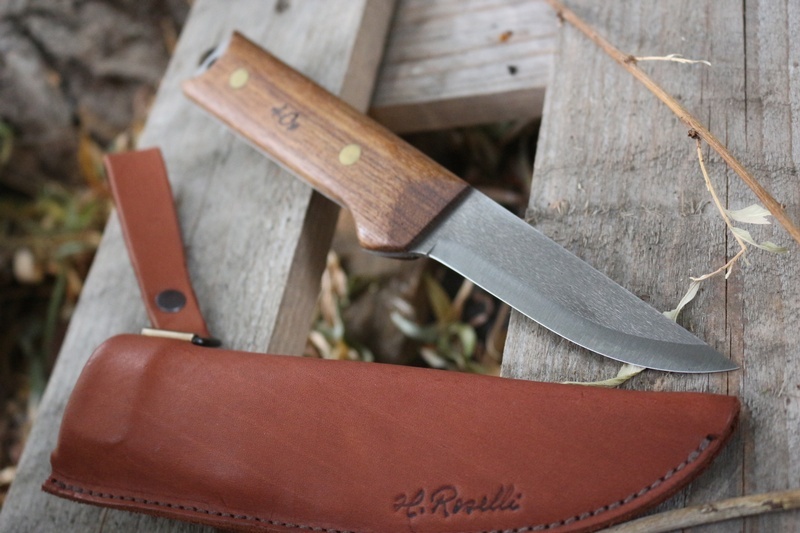 Purchase through PayPal by using the "Add To Cart" button above or use the form below to order the Roselli Wootz 40th Anniversary knife . 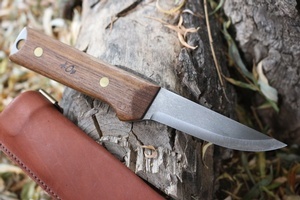 Feel free to contact us if you have any questions about the Roselli Wootz 40th Anniversary knife .